Home Old Age Fitness Tips How To Lose Belly Fat After 65? 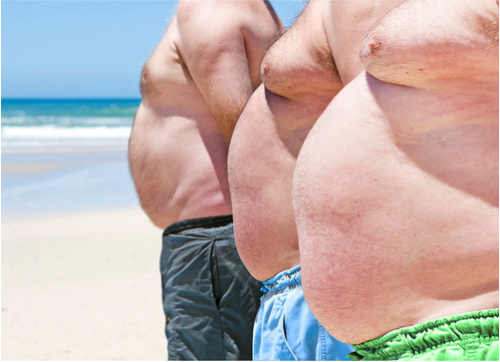 Belly fat, especially the lower belly fat, is a common problem for aging men and women. The aging issue gets in the way of feeling good – both in respect of overall health and self pride. You might already be aware – the older someone gets, the more challenging it becomes to reduce belly fat. The main cause is that muscle mass starts diminishing as we age. If we don’t work out to replenish muscle loss, we gain fat all over our body, mainly our midsection. You also might have heard, it’s not easy to spot reduce fat on a particular area of body, including around waist. How To Reduce Belly Fat Over 65 Age? Do at least 160 minutes of moderate cardio activity per week. For people above 65, recommended activities include brisk walking, cycling on level ground, swimming or joining a water aerobics class. It will not only help to reduce inches around your midsection, but also strengthen your heart, lungs and reduce symptoms of anxiety and stress. Tip: If you feel tired after 30 minutes of daily cardio activity, do it in mini-sessions. For example, go for a brisk walk in the morning for 15 minutes and take another walk in the evening for 15 minutes. Depending upon your physical condition you can increase the duration. For faster loss of belly fat, doing moderate level cardio is not enough. You will need to increase the intensity of the cardio. Even with vigorous routine activity, women after the age of 65 years still should do at least 150 minutes of higher intensity cardio per week in order to lose stomach fat at a faster pace. Recommended cardio activities are: walking or biking on hills, jogging or dancing class are some higher intensity cardio options. HIIT (High Intensity Interval Training) is a better option to shed belly fat faster, and at the same time increase your strength and stamina. In interval training workout, you have to alternate moderate and high intensity activity so as to burn more calories and that too at a quicker pace. Start out with a moderate activity such as brisk walking and then after few minutes increase the intensity by jogging or running. Continue to alternate between the two intensity levels for a minimum of 30 minutes. Work on your core muscles at least two times a week. A simple exercise to tone up your mid section is to sit on the edge of a sturdy chair. Hold edge of the chair firmly with your hands. Raise your feet about two inches above the ground and hold the contraction for 5-6 seconds. Release the contraction and repeat for 1 minute. Diet is an effective way for older adults to shed fat around midsection. You may not probably get 6-pack abs, but you can definitely reduce considerable weight and improve your overall health with the right diet and nutritional plan. There are several diet and weight loss program out there, but they all are based on one fundamental rule – less calories in and more calories out. As you age, your body requires lesser calories. If your physical activities are reduced, you can’t eat like you used to and your diet should be modified to match. Eat fewer calories. As you age, your body needs fewer calories. As a broad thumb -rule, women require at least 1,200 calories and men should get at least 1,500. Tip: You may talk to your doctor asking a safe calorie intake for you. Make sure that the calories amount in your diet matches your situation, and also important is that you get the right amount and kind of nutrients in your diet. Tips To Control Calories Intake: Choose foods that make you feel fuller on lesser calories. High-fiber foods are a great option. As your body digests fiber slowly, you will feel full longer. Few healthy choices are oatmeal, whole-wheat pasta and brown rice. If you are above 60 and/or suffering from any medical condition, you need to talk to your doctor before you start a fat-loss program.